THE “For the Love of Leyte” music and arts festival is set to bring “Woodstock-inspired” show in the province on November 30 to December 1, said co-founder and organizer Kay Veloso Palisoc. Hosted at The Farm at Ginsiyaman in San Miguel, about a 45-minute drive from Tacloban City, the festival will have two music stages, art grounds, and on-site camping featuring 27 bands that include international musicians, popular OPM bands, and Waray artists. The musical lineup includes Ben & Ben, Kiko Bun (UK), Bullet Dumas, The Itchyworms, Babani Records (Mauritius), Reese Lansangan, Ang Bandang Shirley, Hernandez Brothers, Conscious & The Goodness, La Loba Negra, Free the Robots (US), Irie Sunday, Lunas, Rob Mananquil, Tom's Story, The 76 Receipts, KulaHig, LSR, Aurora, Maroon & Gold, Lady Suzette, Succubus, KRNK, Specs, The Guerillas, Digital Danboi (UK), Bruder, and Tom Turner, among others. “The festival is intended not only to showcase the talent and creativity of Leytenos to tourists and attendees but also to inspire and up-skill Leyte artisans through learning from and collaborating with social entrepreneurs,” Palisoc told reporters on Wednesday, November 21. 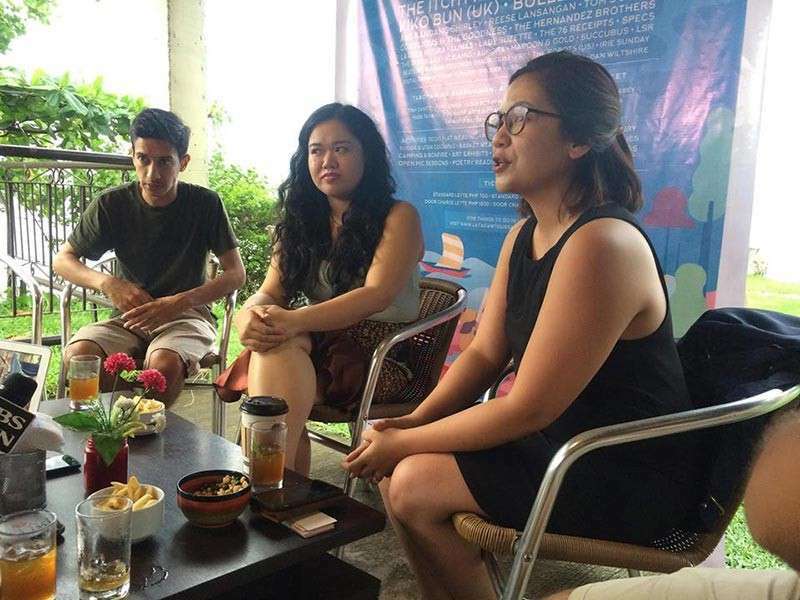 “’For the Love of Leyte’ is a movement that will showcase and increase accessibility of local artisans. Intended to be an annual gathering to celebrate and sustain creative talent in the region, it will harness the strength and resilience of Leytenos through tourism and livelihood opportunities. It aims to kick-start long-term initiatives with the festival and for the years to come,” she added. Tipay Caintic, Tabloban-born award-winning international fashion designer and the creative director of “Tabo-an han Ginsiyaman,” said they want to highlight the “creative livelihood” of the local artisans while collaborating and improving their craft through workshops during the show. Workshops and activities during the event are tikog (native reed plant) hand weaving, tuba (coconut wine) painting, pottery, film screening, “sugba (grill)” and “utan (vegetable)” cooking, buri embroidery, open mic sessions, camping and bonfire, sketching, and portraiture, among others. 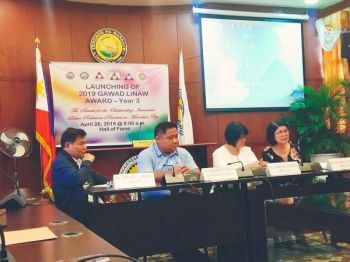 “We’re happy to be on board because we want to promote Leyte and Eastern Visayas as an ‘event destination.’ We are celebrating the rebirth of Leyte after the devastation from Super Typhoon Yolanda,” said Patrick Buena of the Department of Tourism-Eastern Visayas. “We did it in 2015 as a ‘send-off’ event mostly for the Yolanda humanitarian organizations. We want it to be continued for the new batch of travelers. 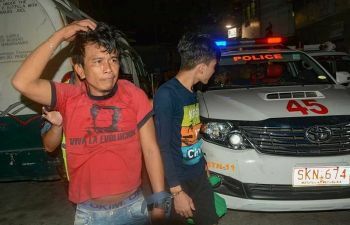 It will be like ‘coming home’ to them,” said Palisoc while assuring the safety, security, and other resources needed for the event through the help of the local government unit of San Miguel. Over 2,000 attendees are expected to join the event with the local communities supplying all the talent, goods and services behind the festival production. “At its core, the festival will champion sustainable tourism and development. It will re-introduce tourists to post-Yolanda Leyte, and will hopefully attract new supporters and advocates of Leyte creative industries. All proceeds of the festival will be channeled to the rebuilding of the Leyte arts, culture and tourism sector,” said Palisoc. "For the Love of Leyte" is supported by The Philippines Foundation in collaboration with UK's biggest reggae scene "One Love Festival" and "Guinsiyaman Festival." Pre-sale tickets are available online at www.mynila.com/events/for-the-love-of-leyte-music-arts-festival-2018/. Ticket sale for early bird-Leyte residents is P500; standard-Leyte residents (P700); standard non-Leyte residents (1,000); on the door-Leyte resident (P,1000); and on the door non-Leyte residents (P1,500). Proof of residency is required for Leyte tickets. Physical sale locations of tickets include Yellow Doors Hostel, Hotel Alejandro, Colabr8, and Hotel Lorenza in Tacloban City; The Farm at Ginsiyaman in San Miguel, and Agimat, Alamat, and 20:20 in Manila. Free camping with facilities is available but concert-goers are advised to bring their own tent. Limited camping tents are also available for rent.